STACY IGEL: Midnight Inspirations: Meet our April Muse of the Month! Midnight Inspirations: Meet our April Muse of the Month! 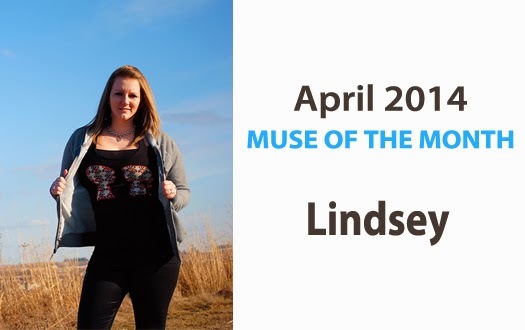 Introducing our April ‘14 Muse of the Month, Lindsey! Any Wisco fan is a friend of mine :) Check out why Lindsey made our list for this April's muse of the month! My favorite charity to support is the Humane Society. I have had a soft spot in my heart for rescue animals ever since my family adopted a dog from our local humane society. He was the best dog anyone could ask for! After adopting him, I began collecting supplies to donate to the humane society as well as volunteering my time walking dogs. I love my UW-Madison tank top! I'm usually found layering this under one of my Coco hoodies. It represents my home state and one of my favorite clothing lines, so now I don't have to compromise fashion on game day!